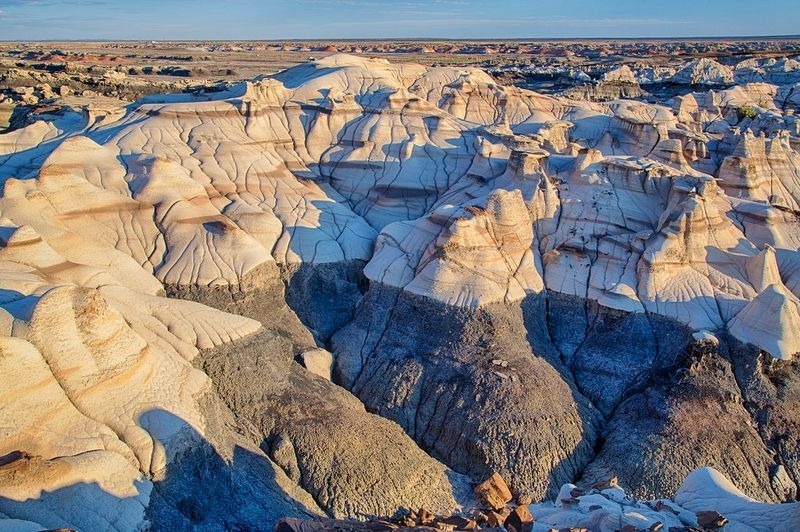 The Bisti Badlands, also called Bisti/De-Na-Zin Wilderness, is a vast rolling landscape of phantasmagoric formations of earth and stone located in northwestern New Mexico’s high desert lands. 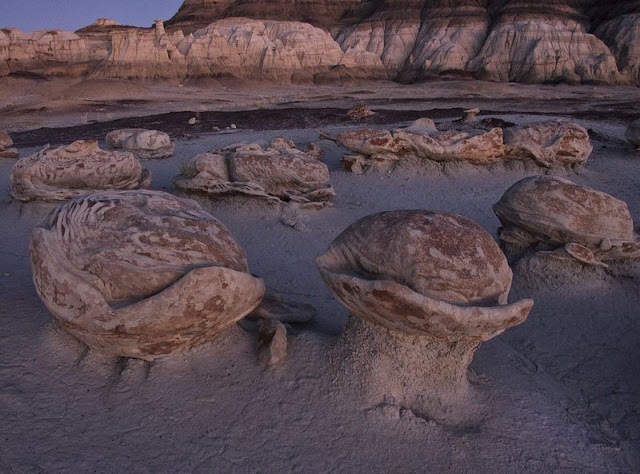 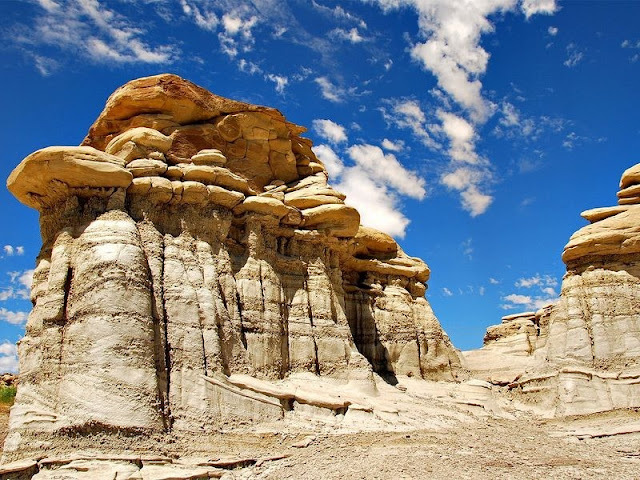 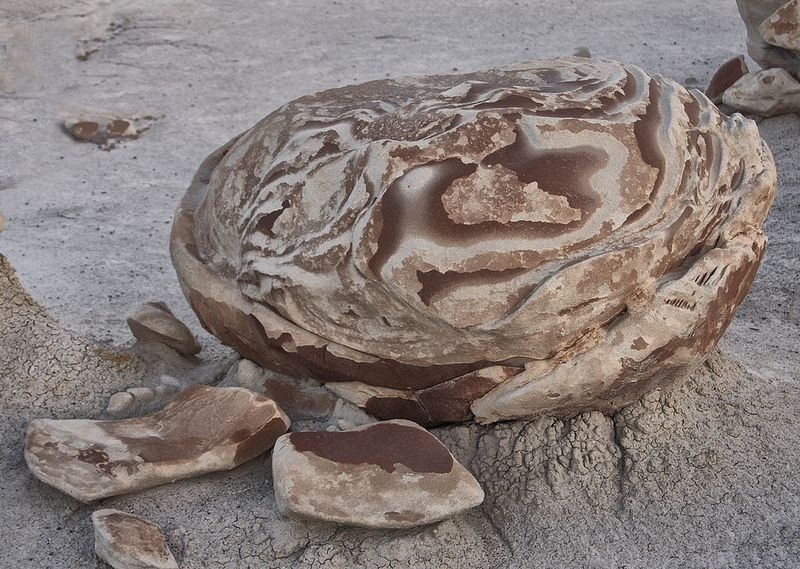 Wind and water erosion over a long time have carved a fantasy world of strange rock formations and hoodoos here in the form of pinnacles, spires, mushrooms and other unusual forms that have attracted names such as "Cracked Eggs", “Bisti Wings” and "Rock Garden". Bisti is derived from the Navajo word “Bistahi” which means "among the adobe formations." 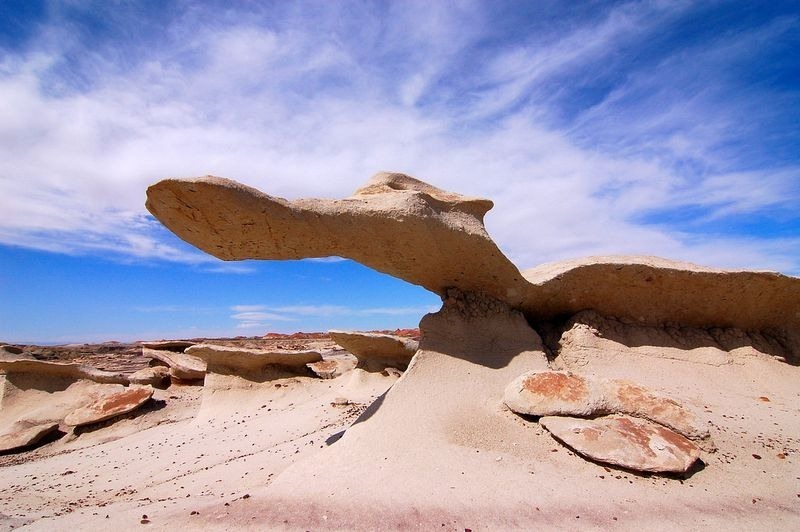 De-Na-Zin takes its name from another Navajo word for "cranes." 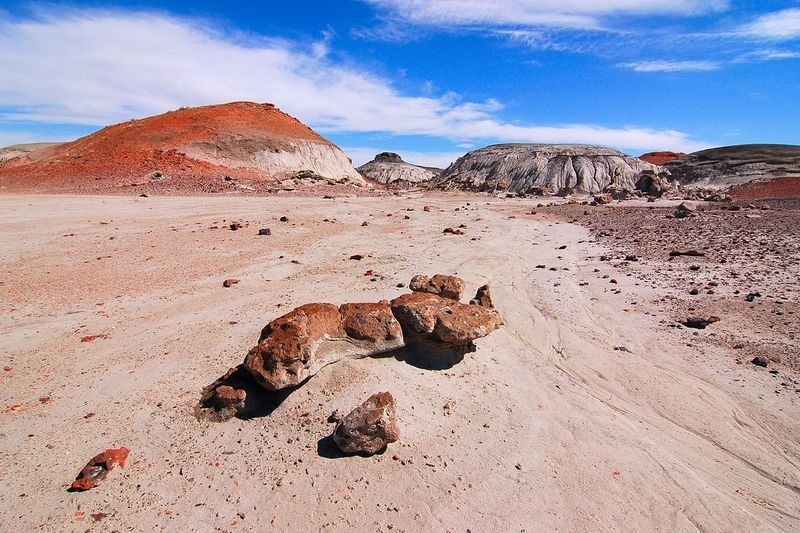 This little visited and largely unknown area was once an ancient riverine delta on the shores of an ancient sea, 70 million years ago. 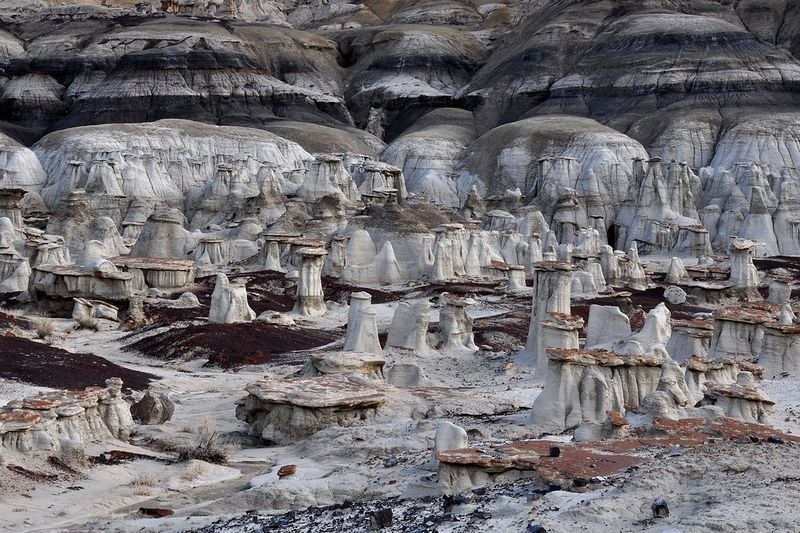 As the water slowly receded, a lush foliage grew along the many riverbanks and many prehistoric animals roamed the region. 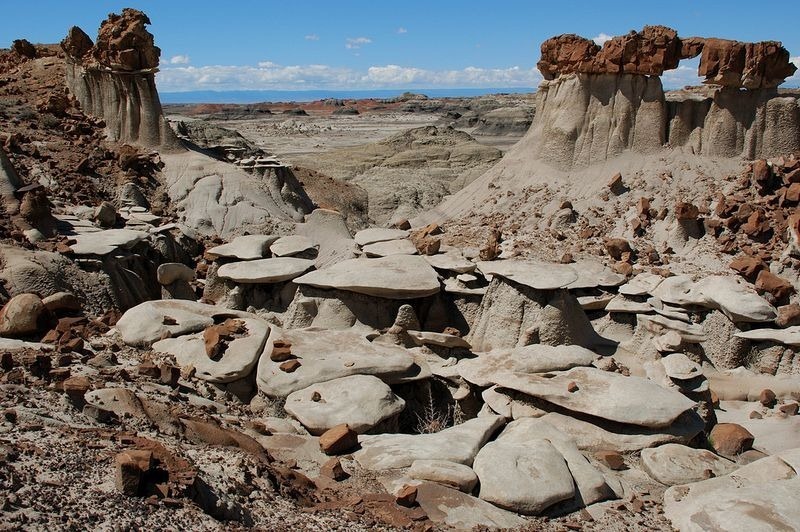 When the water disappeared totally, it left behind layers of jumbled sandstone, mudstone, shale and coal. 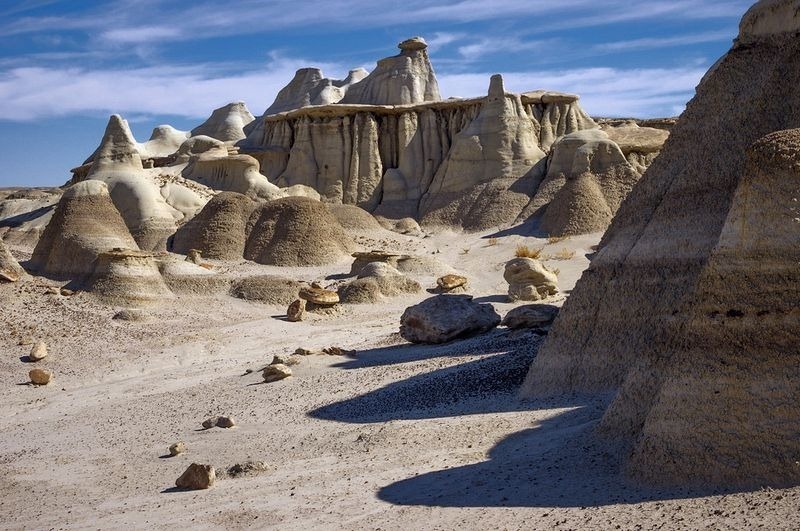 Much of the coal burned away in ancient fires that lasted centuries. 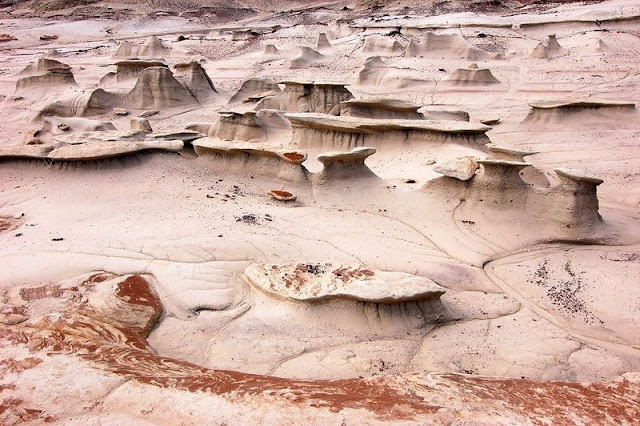 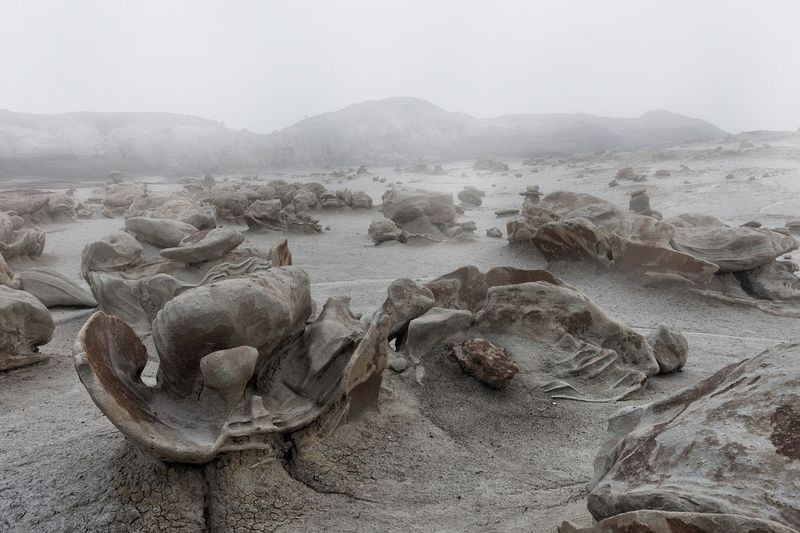 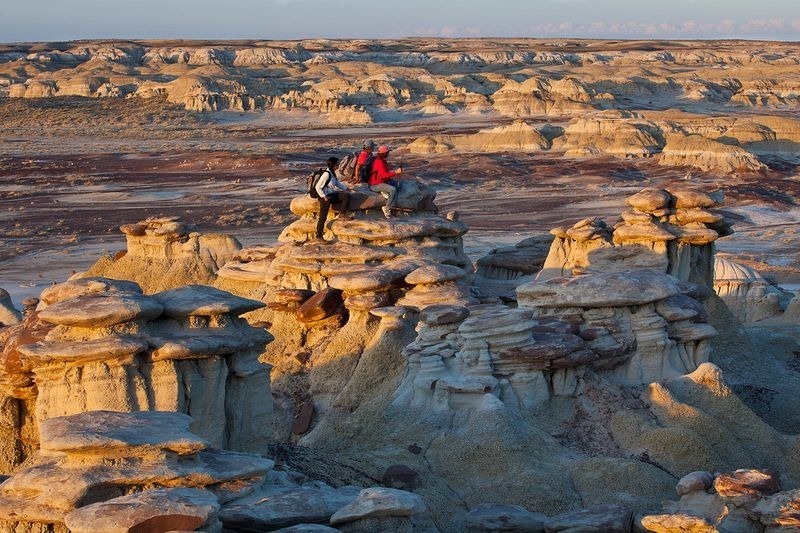 Erosion then shaped the characteristic features of the modern landscape of the Bisti Wilderness. 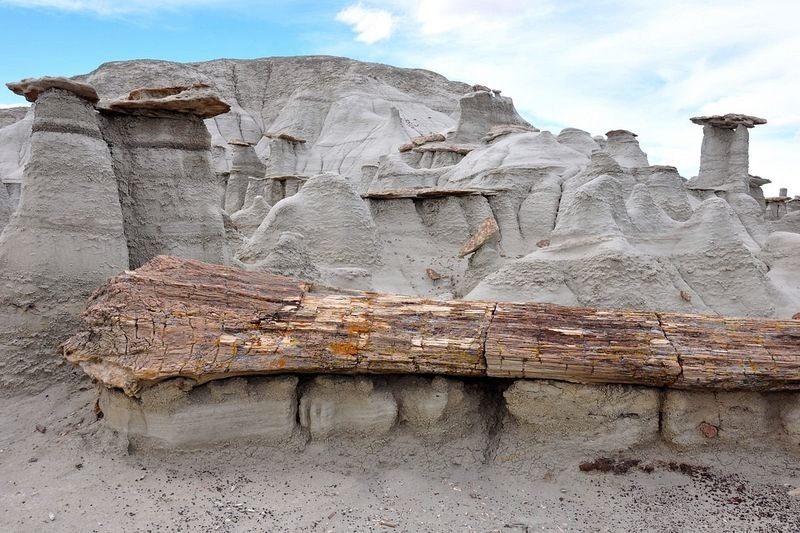 Six thousand years ago, when the last ice age receded, the waters of the melting glaciers helped expose fossils and petrified wood, as well as eroding the rock into the hoodoos now visible.